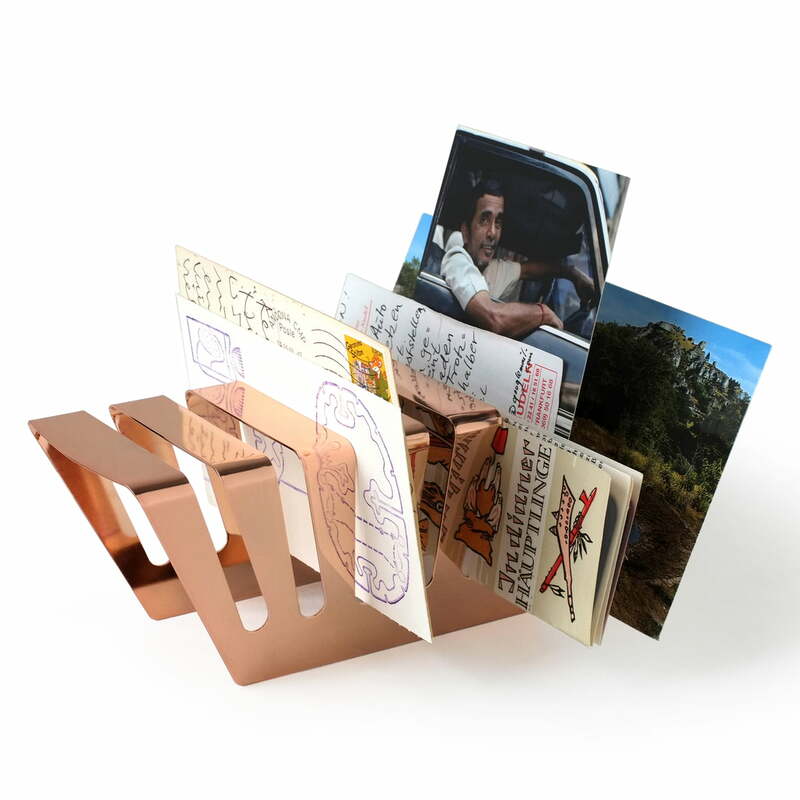 Like an opened book, the Bridge letter holder by siebensachen presents what otherwise would disappear in a pile. 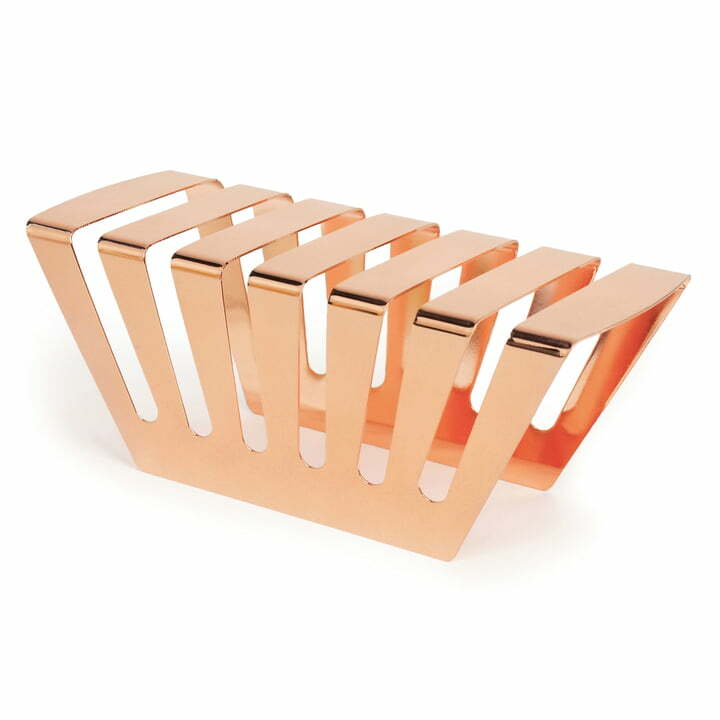 The elegant glossy paper holder will become essential on your desk and bring order to your paperwork. Six slots in total practically organise and store receipts, letters, as well as postcards and other souvenirs and documents in a decorative way. The Bridge is therefore an elegant aid in the office for the home desk as well as at work. 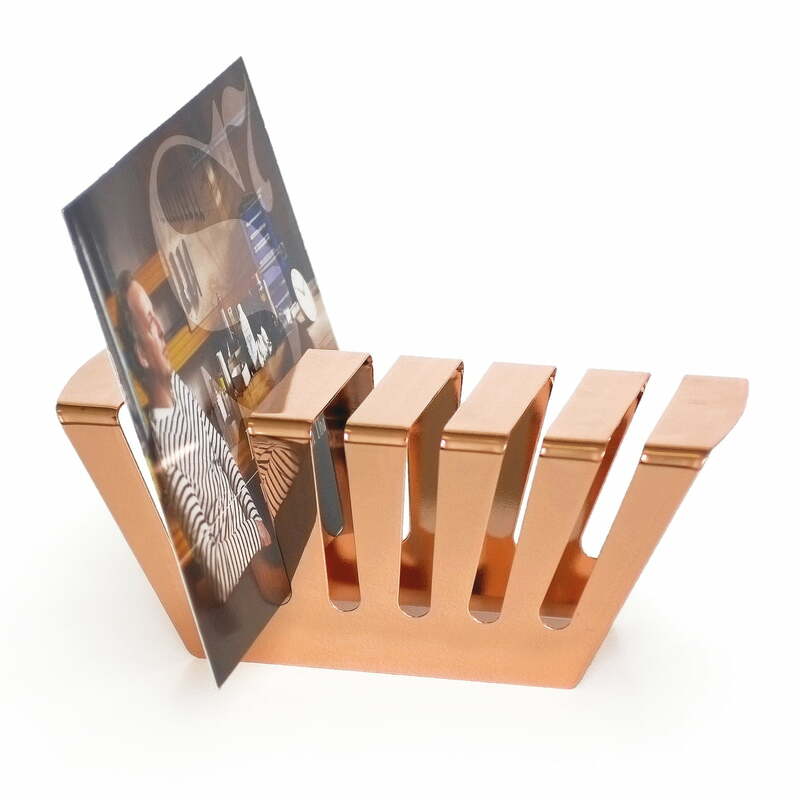 It's practical and beautiful letter holder. If you want to declare your desk, you should own one. 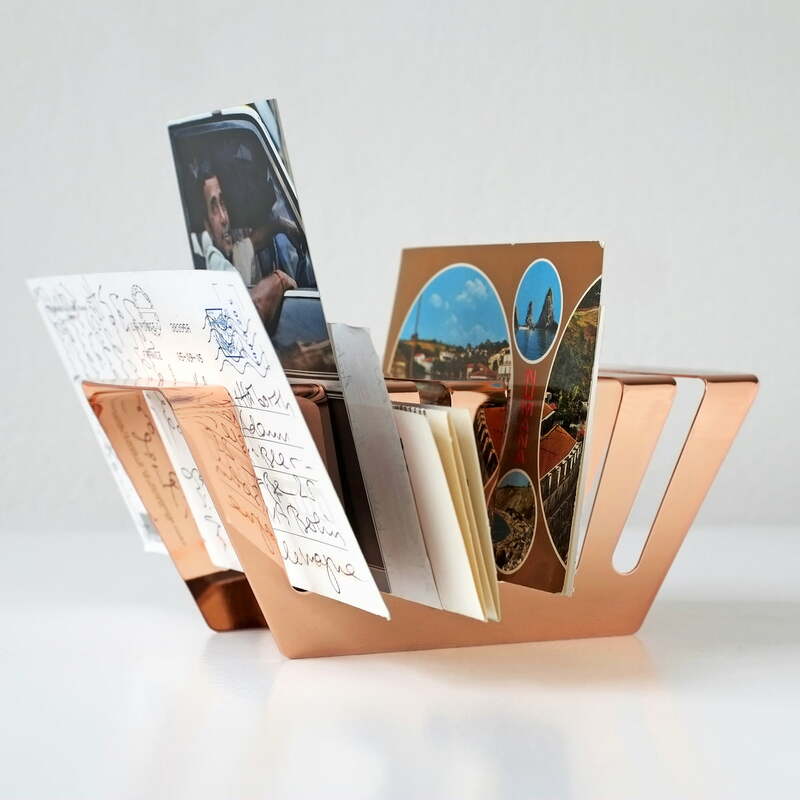 Like an open book, the Bridge letter holder by siebensachen made of steel sheet with a copper sealing presents what otherwise would disappear in a pile.